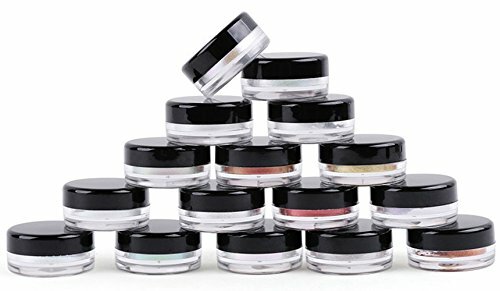 These jars are perfect for storing mineralized makeup, eye shadows, lotions, lip balms, toners, creams, ointments, acrylic powder, and other beauty aids. They are also suited to hold samples of loose leaf teas, spices, cooking oils, herbs, medication, paints, small jewelry, and much more. Each container has a round black lid and inner liners to create a tight seal that will not leak. 5-Gram jars are available in bulk quantities making them ideal for customer product samples, selling your own DIY products online, art rooms, class rooms, or keeping small treasures organized at home or the office. Use to store a wide variety of items from food to cosmetics to art supplies and hardware. If you have any questions about this product by Bekith, contact us by completing and submitting the form below. If you are looking for a specif part number, please include it with your message.